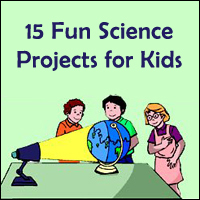 This page is full of fun math activities and cool math games for kids - from preschoolers to preteens. 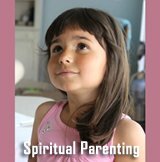 As children have a seemingly unquenchable thirst for exploring, learning and expanding their knowledge, parents can take advantage of this to help improve basic and complex skills. A child is never too young to get excited about math, especially as pediatricians believe infants as young as one-year-old have a basic understanding of math. Hands on activities are the best way for a child to learn anything and this applies more so to math. Helping a child understand how math concepts relate to everyday activities and events makes the subject more interesting and helps with their overall comprehension. 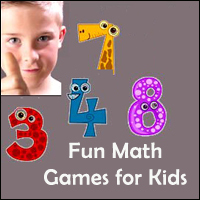 There are a wide variety of math games for kids of all ages, most of which not only encourage a deeper understanding of math but also improve problem solving and critical thinking skills. The beauty of most math games is the adults get to learn something new too, which for many parents scratching their head over their child's homework is a welcome relief. Parents of young children can try to introduce numbers very early on, for example, counting the stairs at home or counting different objects. Young infants will soon learn to repeat the numbers parrot fashion and as they get older, they will find it easier to repeat the numbers in the correct sequence. 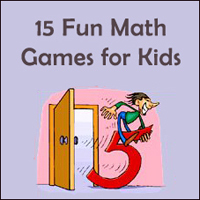 Below is a selection of fun math games for kids; however, parents can come up with their own ideas too. 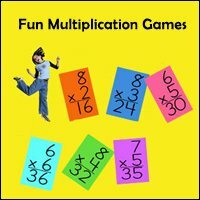 If your child is computer savvy, they will benefit from the many different free online math games available too. This is ten-pin bowling with a twist and not only will this game help increase your child's confidence in their counting skills, it will also introduce them to basic addition and subtraction. 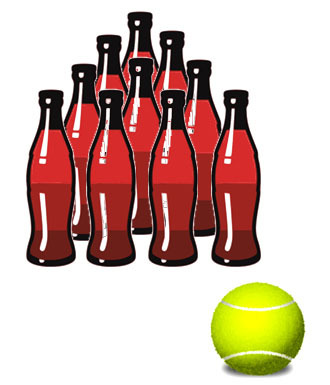 Simply place ten empty soda bottles, half-filled with water for stability, in a triangular shape and, using a tennis ball, show your child how to knock down the bottles. Once they have knocked down the bottles, encourage them to count how many are down and how many are left standing. The most important thing to remember about math games is to engage them with helpful commentary, particularly when the child is young. Tell them what they have done and how they did it. While most children start developing counting skills at an early age, recognizing the numerals when they are written down is much more difficult for them to master. This game is simple but effective and all you need is a large envelope with a small hole in the center and ten numbered flash cards. Slide one of the flash cards in to the envelope, so only part of the number is visible through the hole. Encourage your child to describe what they see, such as curls or flat lines. Ask them to guess what number they believe is hidden in the envelope. This is one of the cool kids math games that are designed to encourage recognition and you will notice your child begins to recognize numerals easier the more you play the game. 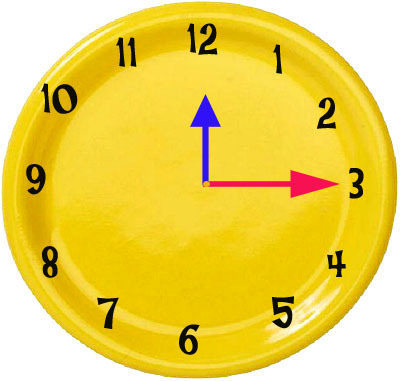 If you thought teaching your child to count and recognize numerals was difficult, then brace yourself because sooner or later, you will need to teach them how to tell the time. You may take telling the time for granted but it can be confusing for a child who has no real concept of time at all. This one of fun math games for kids requires nothing but a paper plate, two pieces of different-colored cards, a paper fastener and lots of parental enthusiasm. 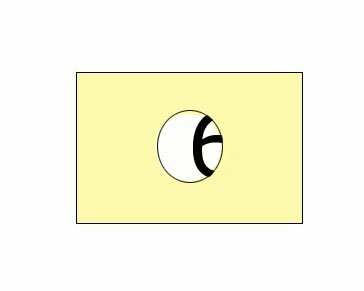 Simply poke a hole, using a pencil, into the center of the plate and after making two arrow-shapes with the card, attach them to the plate to represent the big and little hand. Number 1 to 12 around the plate's circumference and let the fun begin. Much of this math game will be instruction at first, as you explain different times starting with the easiest first. When your child has an idea of telling the time, hang the clock somewhere they can see it and use it throughout the day and during everyday activities. For example, teatime is a five o'clock and bedtime is at 7 o'clock. While you will notice they pick up telling the time fairly quickly, it will be several years before they are fully confident with this area of math. While children in this age group will be familiar with money, they most often will not understand amounts or value. Using real pennies, dollars and dimes encourage them to handle the money, while all the time explaining their different values. Then encourage your child to make up certain amounts, using pennies or dimes only, for example, make me a dollar using only pennies. 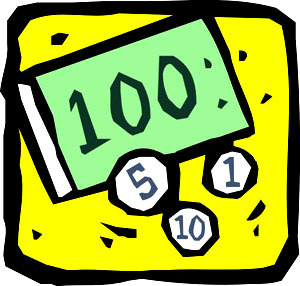 This will introduce them to counting in tens and hundreds, as well as helping them understand the value of money. 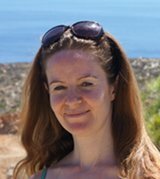 Successful math games rely heavily on adult interaction and commentary. 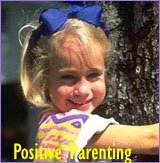 Parents need to answer questions, as well as ask them in order to keep the child interested. 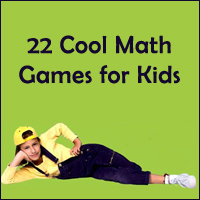 As children in this age group will be moving in to more complex math concepts at school, making cool math games for kids they can play at home is all the more important to keep their interest in the subject. This math game may seem basic for the age group, but it teaches children how to judge an amount by eye only. 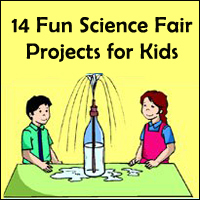 It also helps fine tune their critical thinking skills, which can help in other areas of their education. 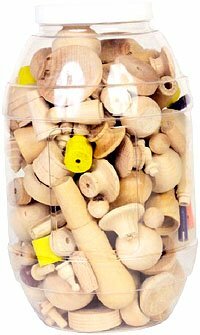 Simply fill an empty jar with pennies, jellybeans or buttons and ask your child to guess how many there are. 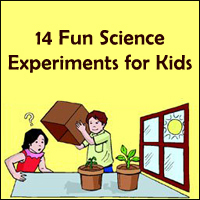 Once they have guessed, empty the jar's contents and get them to count them. Also ask them to work out the difference between their estimate and the real amount, as this will help improve subtraction skills. Once you have played this game a few times, you will notice that your child is better able to judge the amount and their guesses will be closer to the true amount. This fun math game for kids will further develop your child's addition skills, making them more confident with complex math problems. You will need 30 flash cards. Five of these should be marked 0-10, another five marked 11-20, another marked 21-30 and the final five should be marked 31-40. Shuffle the flash cards and place them on the floor, number-side down. One player then writes a number on a piece of paper, such as 95, and it is then up to the players to make this value as quickly as possible using the numbered flashcards. 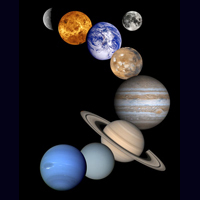 The only rules are, a player can only pick up one card at a time and can only hold a maximum of three cards, if they need a different number, they need to take the chance and swop the card. Parents of this age group can be forgiven for dreading homework nights, especially as children of this age have moved on to math subjects such as geometry and algebra. Keeping a child of this age interested in math games for kids is also difficult, especially as playing games with their parents is seen as less than cool. One way to get round this is to introduce math into something they already enjoy doing, in this instance riding their bike. 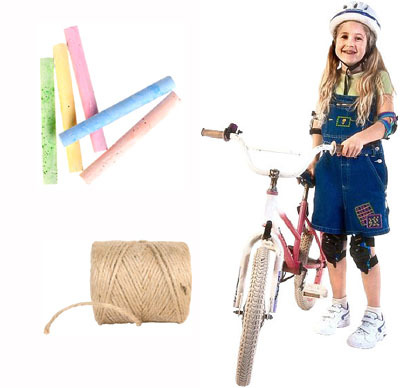 All you need is a bike, a piece of string, chalk and paper. Mark a starting point, by making a small line on the pavement where your child's front wheel is. Go a distance down the pavement and make another chalk mark, then tell the child to ride the bike to the marker. Once they have done this, ask your child how far they think they rode and ask them to guess how many times the bike's wheel turned. You can then show them how to work this out accurately by measuring the distance travelled with the string and working out the length to the nearest inch. Then hold the string around the circumference of the bike wheel, to get an accurate measurement of the wheel (you can double check by seeing what's written on rubber of the wheel itself). Dividing the two figures will tell your child how many times the bike wheel turned. 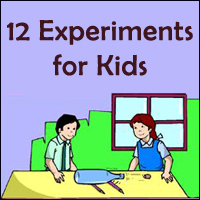 Not only does this cool math game for kids encourage understanding of distance, perimeter and circumference, it also helps your child understand how math fits in to everyday life. 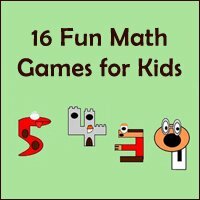 While most math games for kids may make this age group yawn, there are many free online math games that will help spark their interest in certain areas. 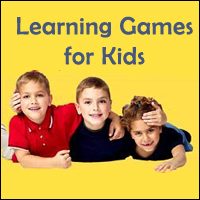 Math fraction games and multiplication quizzes are just some of the math subjects available for children of this age group and older.